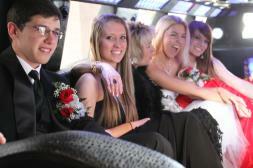 At Imperial One Limousine Prom season is one of the busiest times of the year for us. 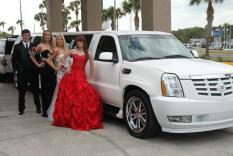 Unlike many of our competitors we do not charge extra for Proms, we keep our same low hourly rates. Due to heavy demand Prom rentals have a 6 hour minimum. It's important to remember that other types of events are taking place during Prom season as well: Weddings, Birthdays, Anniversaries, Concerts. 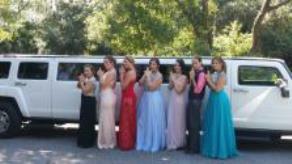 Every year we see the same pattern, Weddings book several months in advance but Prom groups tend to wait til only a few weeks before Prom and by that time the limos are usually already reserved for other events. 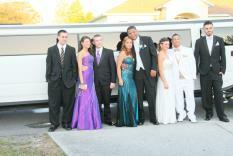 So don't hesitate book your Prom Limo early before a Wedding or Birthday takes your spot. It is believed that proms may have started at colleges as early as 1800s and eventually became a high school event after many years. Proms really took off and became more elaborate in the 1950’s which loosely resembles the Proms of today. About 85 percent of schools in Britain have Proms. In Egypt, most schools have proms similar to those held in the US. In South Africa, the equivalent of the American prom is the Matric Dance. In Afghanistan the party’s held by graduating students and called "graduation party." In India and Nepal, the closest equivalent to Prom is called a farewell party or farewell gathering. In Israel, high school graduation parties usually combine a play a humbe ceremony and a dance party. In Lebanon, proms are held after the graduation ceremony at night. In Singapore, proms are held at the near end of a senior year for secondary schools. In Malaysia, proms are becoming popular in the bigger cities and are usually organized by students. In Pakistan, the equivalent to the American prom is a farewell dinner or farewell function that takes place at the end of the college academic year. In the Philippines, proms are popular in high schools and are commonly known as “JS Prom”, or, junior–senior prom. In Vietnam, the equivalent to the prom is called liên hoan cuối năm. In Austria, as well as in the Czech Republic, it is celebrated with a ball called in Austrian German Maturaball and in Czech maturitní ples. In Bulgaria, the ball is called abiturientski bal and is held at the end of 12th grade. In Belgium, and parts of the Netherlands, senior students celebrate their last 100 days of high school with a day called Chrysostomos or 100-dagen feest (“100-days party”). Our Parents & Family Option is a simple way to maximize the value of the limousine you are renting. 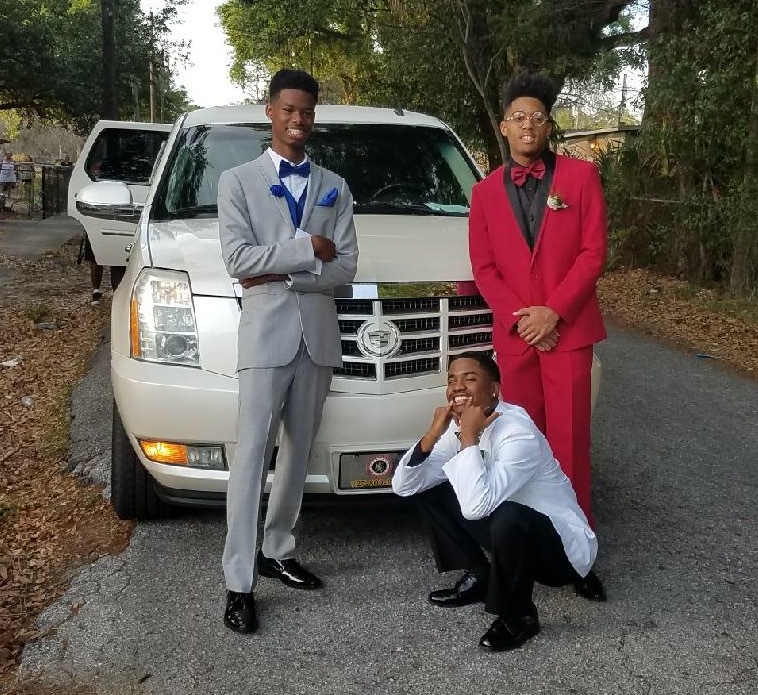 Once the Prom group is dropped off at Prom the limo can return to your home or other designated location to pick up the Parents, siblings or other family and take them out while the group is still at Prom. It doesn't matter if its just a quick ride around the block, out for ice cream or even out for dinner. Your Chauffeur will then drop you back off at home and return to the Prom Venue at the pre-determined time. -Take the younger siblings out for ice cream. matursko veče (maturalna večer and maturska večer), is the event held at the end of the senior year. In Denmark, the prom is called galla. In Finland, the equivalent of the prom is called vanhojen tanssit. In Germany, students celebrate their graduation from high school, with an abifeier. In Ireland, this formal dance is called the débutantes' ball. In Hungary, students receive a blue ribbon to mark the beginning of the preparation for their graduation. Students receive this ribbon at a ball called "Szalagavató", meaning the "inauguration of ribbons". by students themselves in a location of their choice 100 days before the final exams. In Lithuania, the equivalent of prom is called Šimtadienis. In Poland, prom is commonly known as studniówka. In Portugal, proms are called "Baile de Finalistas" ( Finalists ball). graduating students and newly enrolled ones. ("boboci", meaning "hatchlings" in Romanian). "Vipusknoy vecher", which literally means "evening of graduation." In Slovakia, the closest thing to a prom is Stužková. In Slovenia, the equivalent is Maturantski ples. In Sweden, it is usually known as Studentbalen "The Student Ball." The Swiss equivalent of prom is the bal de printemps, "Spring Ball." In Turkey, the equivalent is called "Graduation Ball."